Good news for our TM subscribers! TM now offers the TM EASYSURF Promos. This new TM promo that comes with internet surfing, Facebook browsing, video streaming and lets you listen to your favorite music app and playing with your favorite game plus lot more freebies! All of these without hurting your pocket. TM prepaid load promo gives you choices where you can enjoy as much as 8GB in 30 days. So what are you waiting for? Ka-Republika load now! Stay connected with your loved ones, know the latest happenings and trending items. 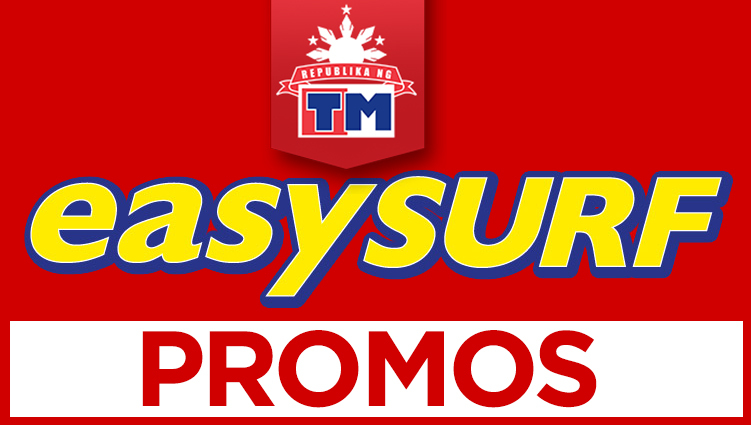 We have listed all the TM EASYSURF promo so you can choose what’s best for your budget and lifestyle. Register now! How to register for TM EASYSURF10? How to register for TM EASYSURF15? How to register for TM EASYSURF30? How to register for TM EASYSURF50? How to register for TM EASYSURF299? How to register for TM EASYSURF599? How to register for TM EASYSURF999? You can check your remaining data in your EasySurf promo by texting EZ STATUS and send 8080. You may also stop your subscription by texting EZ STOP send to 8080. This is FREE.